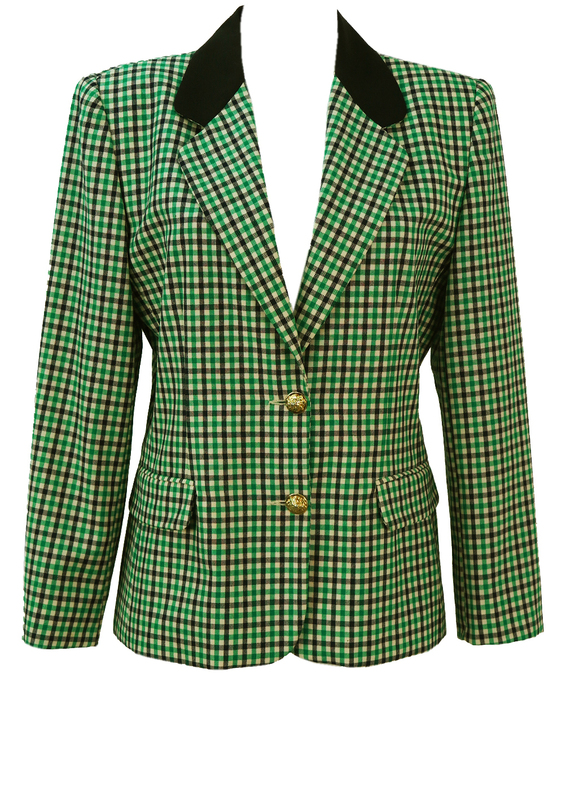 Lightweight fine wool fitted jacket with an emerald green, black and cream check pattern. Additional design details include a contrasting black collar and ornate gold buttons featuring lion heads. 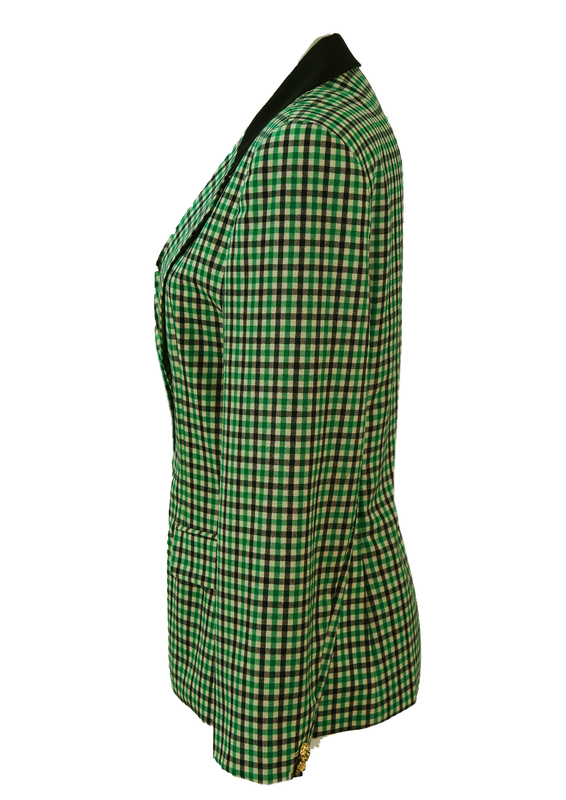 The jacket is also fully lined in black. 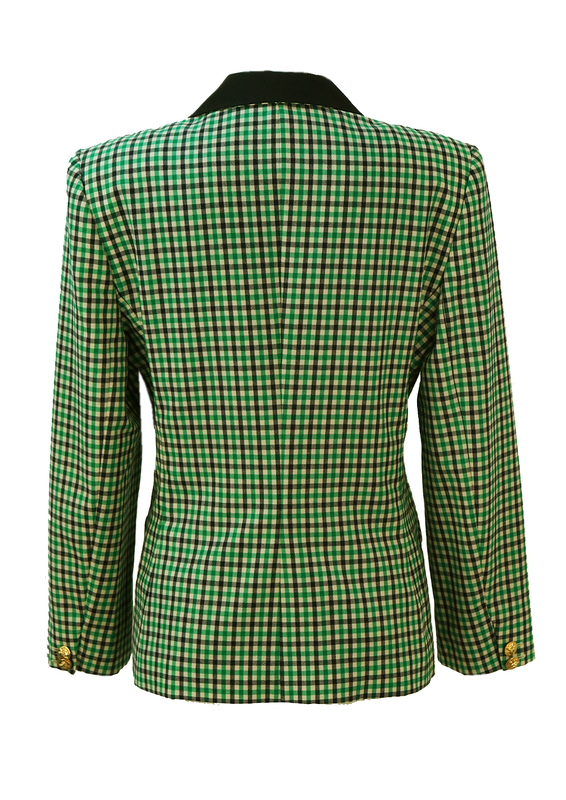 There are some very minor marks at the front of the jacket by the right lapel that are barely visible. However this has been reflected in a reduced price. The jacket is otherwise in excellent condition.